Today is Labour Day in Canada. The first Monday of September and a long weekend holiday. As I sit in my library early this morning I am overwhelmed with joy at the thought that this is day 243 since Brenda’s cancer diagnosis. Why joy you ask? Simple, Brenda is still with us and very much alive. We are enjoying life together and with our family. In a seemingly irrational manner, there is a new sweetness and depth to our relationship that we understand is perhaps counter intuitive given the circumstances. 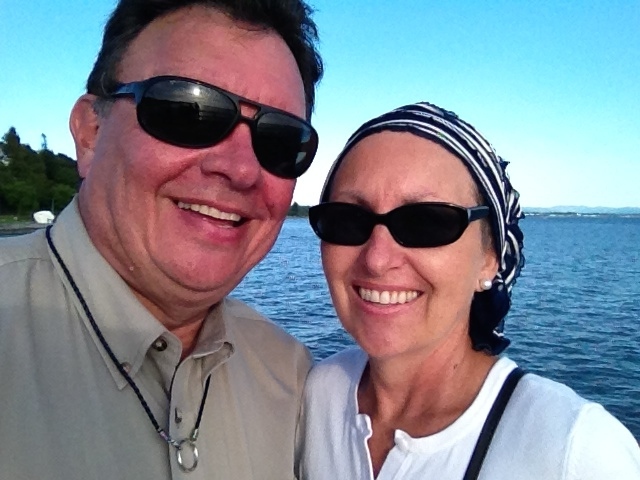 We have had a series of good news reports from the oncologist of late. Word that five of the six lesions in her brain are gone and the sixth is in retreat. The mass in her lung has also shrunk and the cancer in her backbone remains in check. The latest scans show no further metastases – no further spreading of the cancer. So we rejoice in this news yet we are still living with cancer. I can sure understand how the cancer journey causes so many patients and caregivers to suffer depression. It begins with a cumulative crisis of loss and anticipated loss. It is not just the fear of losing a loved one, but there are many other losses experienced along the way. Your life is changed. Things you used to do together, you no longer do. Patterns and responsibilities change. Your diet, sleep patterns, ability to travel, even your financial status all change with a cancer diagnosis. As new medical appointments begin to fill your calendar it leaves little time for old relationships. People you find life giving are now inhibited from visiting with you because of your physical and emotional ability. 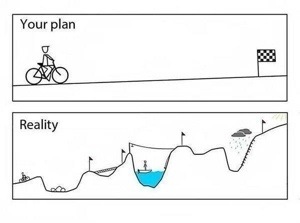 Your ability to plan is thrown out the window as your physical stamina and the medical system now have a high degree of control over your schedule. These are all losses and we grieve these. I have some moments when I catch myself getting caught up with the thought of being without Brenda. Theologically I understand that loss is not the central issue in my feeling sad and depressed, it is my unwillingness to let go. I am attached to Brenda. I love her and desire to be with her. I do not ever want her to leave me but a cancer diagnosis actually forces you to have to talk about ‘what if’ scenarios. For friends who are not Christians and are in this kind of circumstance, I could see this being a very dark time. What seems like a completely empty life today morphs into an equally meaningless eternity. There is nothing to hope for and so the tendency would be to hold onto the memories and objects of the past. But as Christians we are called on to let go of everything that gives us security and cling to Jesus our Lord. Brenda and I know this in our heads, but we have moments when we get as frightened as anyone else at the thought of letting go. We become attached to our spouse, our family, our hobbies, our reputation, our ideas, our position, and our dreams. It is painful to think about giving them up ourselves, let alone them being taken away. The thought of loss can cause one to become hardened, and rather callous, towards the things we hold dear. It is our way of protecting ourselves from feeling hurt. It would be like me saying, “Oh I didn’t like sailing anyway, and we can sell the boat. I don’t care.” That would not be true. I’m fooling myself. I have great memories from our boat and I will miss her. Yet central to the gospel is our willingness to let go of everything we cling to that we gain security from and to fully place our trust in Jesus. The closer we draw to God, the less prone to depression we are because fewer things can be taken away from us. We are studying the book of Philippians right now at our church and in it Paul shares he has learned that in whatever state he finds himself, he will be content. How did he accomplish this? He shares that the things he used to count as ‘gain’ – the things he used to cling to for security – he is willing to let go of. All things were considered lost but for his clinging to God. Early on in this journey I was praying and God called me by name and asked me to trust him – regardless of the outcome. 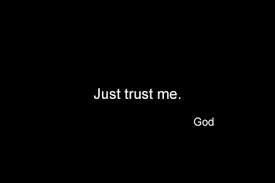 Since then I have realized that I can trust Him and that life does not stop for our circumstance. I also have learned that there is a healthy sense of letting go of Brenda that I can embrace. It is in this process of letting go of Brenda and all the other ‘losses’ both perceived and real, that I am actually able to free myself to be fully God’s. Somewhere in the midst of all this, after 243 days, I am coming to grips with the many losses we have already experienced. I am feeling free and trying to be content in our circumstances. But I still cry at the oddest times and without over spiritualizing receive this as part of the body’s natural recovery system. Have you ever had an experience where one bit of information completely changed your life? That is how 2014 began for me. The first week of January we received a cascading amount of bad news in that our doctor had discovered a mass on Brenda’s lung. Rapid testing afterwards confirmed this was indeed cancerous and had spread to both the brain and lower back. Since first suspicion, to diagnosis, to telling our family – the news is not getting any better. Our lives have been altered. One minute we were heading in one direction, the next moment we are redirected to an entirely new vector. So, was God in the previous direction? Is he in the new direction? Answer is that God is in all of it. He is in every aspect of our lives. What are we learning in this so far? Well we are learning again that He is in control – not us. We are also realizing how empty it must be for people who have no faith to help endure the stress of a diagnosis like Brenda’s. With faith comes community – a relational cadre of fellow Christ followers who live out what Jesus said, that Christians will be identifiable by their love for one another. We are startled by how many people are dropped off at the cancer clinic and sit there all alone throughout their treatments until the taxi picks them up again. God is bringing comfort to us in many ways. Through the presence of our dear family and closest friends. Through expressions of love and concern from people around the world who are choosing to share in our challenge. Through words of prayer from those who really care. And through God’s Word and especially the Psalms right now. So whatever you are doing right now, stop and ask yourself how much of your day are you investing in relationships. For the past two weeks Brenda and I have been together 24/7 making our way through the medical tests and the emotional exhaustion of repeating the story over and over to those who ask. In the midst of all this, despite lots of tears, there is an overarching sense of peace. We are savouring each moment together and it is like we have been given new lenses to view the world around us. “Things” can so easily clutter our lives are just temporary. I can see this now as if a bright spotlight was shining on it. Relationships on the other hand last forever. If this is true then nothing can replace the time we spend investing in the life of another. Our daughter by marriage, Kristin, established this website where Brenda can journal her journey with God right now. It also allows people who know and love her to write a comment in a guestbook. If you will linger for just a few minutes reading the comments left there you will see how this amazing faith filled woman I am married to has invested in and mentored the lives of hundreds. For the next while I am going to use my blog to allow you to join me on my journey alongside Brenda as her adoring husband, BFF and fellow pilgrim. Frequency will be sporadic depending on how things are going here, but the content will be authentic. Brenda and I wish you a very Happy New Year and wishes for God’s richest blessings in 2014. 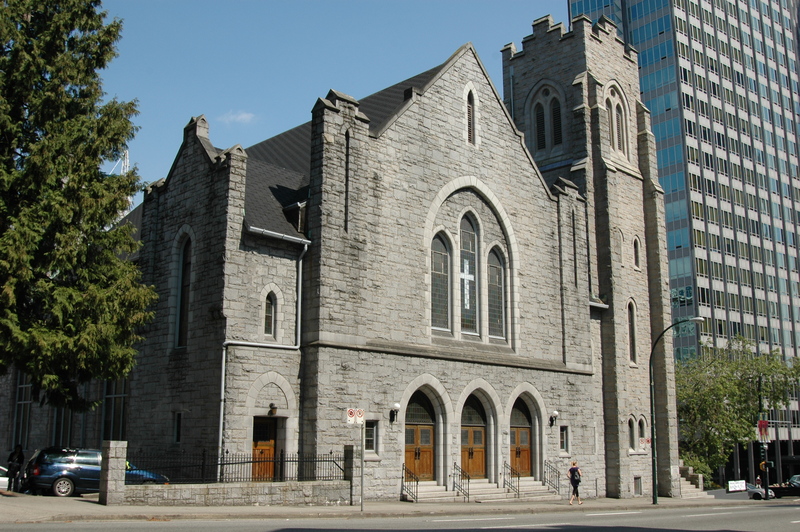 First Baptist Vancouver, or ‘First’ or ‘FBC’ as we are known on the street, is a community that believes it is possible to live and love the way Jesus does – and we come together to help one another on this journey of becoming like Jesus. Located at the crossroads of downtown Vancouver a vibrant community congregates in our stone building. We are young, old, and in-between; rich, poor, employed and re-training; multicultural; families and singles; Bible scholars and seekers. Just blocks from our door, the downtown of Vancouver is alive and vibrant, multi-ethnic and diverse. Our neighborhood is surprisingly filled with many young families and our Children & Family Ministry is one of the most robust in our congregation. Engaging one hundred volunteers, we are a church deeply committed to family. Children & Family Ministries is vital to the health of our congregational and community life at FBC and in our neighborhood. The new director will have primary responsibility for giving leadership to shape Sunday morning and mid-week children’s programs, ensuring that they are Biblically relevant to the contemporary family and for developing a family friendly congregational environment. Reporting to the Executive Director, this ministry leadership position is supported by both staff and volunteers. A strategic team, your Ministry Area Team (MAT) will be established to be a support in this ministry area, and assist you with dreaming, strategic planning and assessment of existing programs. First Baptist is right in the center of this cityscape, both geographically and in mission. Develop and work with a team of leaders who seek to integrate children’s ministries within a church family framework where parent involvement and spiritual leadership of children is a partnership between the home and church. Screen, recruit, train, and nurture a large team of volunteer members who have a heart to serve children, in both leadership and support roles. Provides direction and supervision to volunteer team leaders. Model Christian leadership and empower volunteers to fulfill their assignments. Oversee administration needs of preparing and controlling the budget, maintaining database of volunteers, and preparing communication about the ministry. Work with key volunteer leaders to select and implement user-friendly Biblical curriculum that reflects the values and vision of FBC. Provide initial pastoral care as needed for children, staff, volunteers and parents and faithfully pass on information to the Pastoral Team for additional support. Implement ministry and special events of importance to the family. Current programs include a Mid-week Parent Group, Family Connection Groups, All Church Family Camp, Soccer Camps, Parenting Seminars, and Small Groups. Oversee our discipleship groups for children: Early Childhood, School-age Children, Preteen Ministry, Sunday weekly activities; mid-week children’s programs; baptism classes, summer programs, and special events. Build and nurture contacts with our neighbourhood and community (for example: schools and the YMCA). Share ministry information with the FBC pastoral team for the health and development of the church and represent the interests of children and families to the wider church body. Engage and work collaboratively with the Ministry Area Team (MAT) for support, discussion and assessment of ministry programs. Work collaboratively with the Pastoral Team. Plan together with the Youth Director, to ensure smooth transitions to the youth program, and annual calendar planning. Demonstrate commitment to the FBC Values and vision by participating in the life of the church (examples: worship service attendance, small group participation, staff devotions). A godly leader of good character who has a vibrant personal faith in Jesus Christ. A strong desire to see: parents become the spiritual leaders in their homes; and their children become fully devoted followers of Christ. Ability to multi-task, delegate, team build, and provide oversight to many ministry areas. Candidates must be eligible for credentialing as a licensed pastor with our denominational family, Canadian Baptists of Western Canada. Details regarding this can be found at (cbwc.ca). Compensation: FBC uses a salary grid commensurate to the role responsibility, education & experience. In our downtown church we have a weekly email that goes out on Monday’s to those who work in the secular workplace, as opposed to homes, churches, or specialized ministries. It’s purpose is to encourage men and women disciples to see their work environment as their place of ministry- and this is a high calling. I have probably given away thirty copies of the book “First Things First” by Stephen Covey. It is a definitive work on time management and explains that most people are driven by the concept of urgency. But to really effect positive change in our lives, we need to reorganise the way we spend our time; based on the concept of importance – not urgency. 1. The first one represent the things that are both important and urgent for us to do (you need to do them now). 2. The second represent the things that are important, but not urgent (you can decide when to do them). 3. The third represent the things that are not important, but urgent (you should delegate them and not do them yourself). 4. 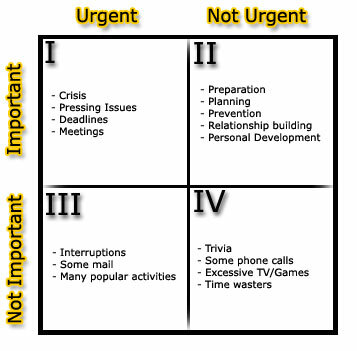 The last quadrant represent the things that are neither important or urgent (you should dump them!). A great exercise for leaders at the beginning of each year is to do an inventory of all the things you have on your plate to do – then discern what quadrant they are in and act on them accordingly. When Jesus discusses putting “first things first” He says “ ..seek first his kingdom and his righteousness..”. (Matt. 6:33) Seeking first His kingdom is to desire – as our very first priority of important things – to spread the reign of Jesus Christ. God’s kingdom reign begins in our hearts, then spreads outward to our family and friends, and then like ripples in a pond – to the ends of the earth. Do you see evidence of Christ’s rule over your thoughts, your attitudes, your will? What do you need to submit to Him? How well are you submitting to Jesus’s rule as you relate to the people around you? What needs to change? How are you connected to the missionary efforts of the church to share the love and shalom of Jesus in our community and around the world? Besides giving donations, how can you get involved in spreading Christ’s gospel to the world? How might you broaden your world view this year? May God bless you as you seek the kingdom of God in every area of your life.